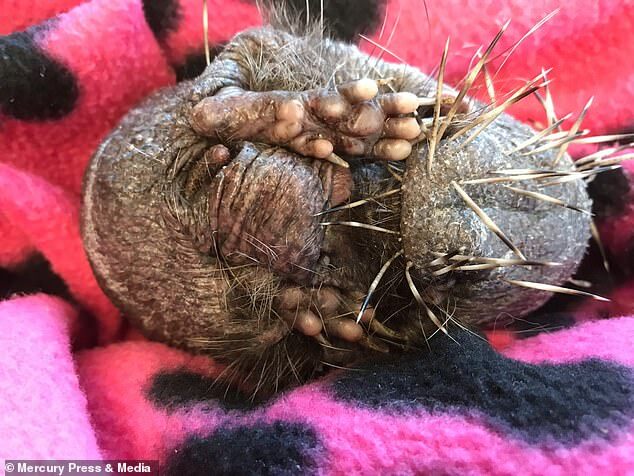 A bald hedgehog is captured getting daily massages with aloe vera after stress caused him to lose all of his prickly spikes. The hedgehog, named Bear, was brought into the Cuan Wildlife Rescue Centre in Much Wenlock, Shropshire, by a concerned member of the public who didn't know what animal he was, the Daily Mail reports. 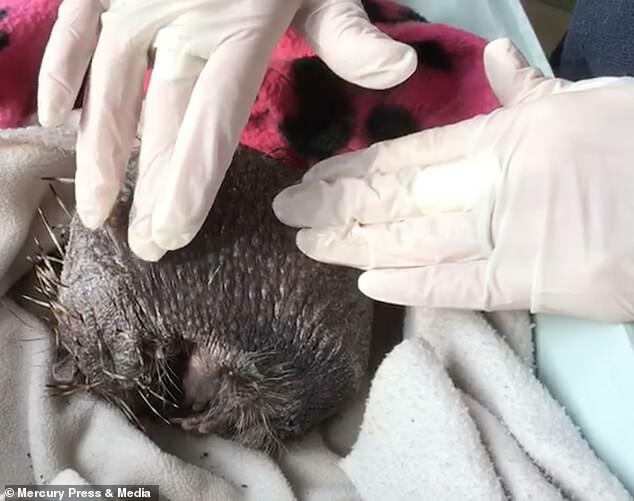 Staff, who are now caring for Bear, believe he woke up early from hibernation with an ear mite infection, causing his spines to fall out due to stress . But manager Fran Hill and the team believe the future is bright for the juvenile hedgehog and hope the tentative massages will help his spines grow back. He's being massaged with aloe vera once a day and will also have a weekly bath with a special anti-bacterial shampoo to sooth the skin. Ms Hill, 52, said: 'It's heartbreaking, it really is. “We can only assume that he went into hibernation and had these ear mites which took hold. When hedgehogs get stressed they lose their spines. “I think that prematurely brought him out of hibernation which added to the stress. "He must have been so cold as well. Staff at the rescue centre say they have never seen a hedgehog that has lost nearly all of its prickles before.